First,buy your ticket and then come in to the restaurant. 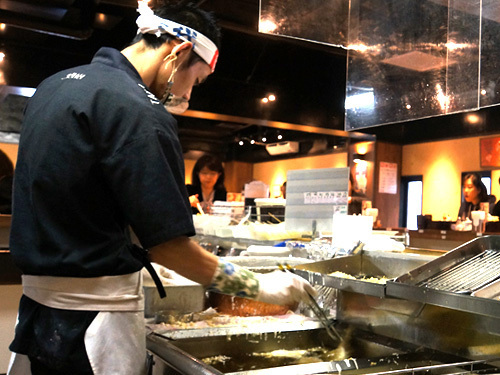 Tempura fried in front of customers are surved one by one. Set menu are surved in 690yen as the best price. As a side dish,you can eat homemade pickles for free. 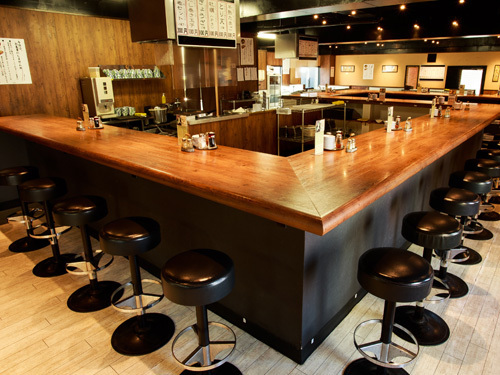 The restaurant is located in the area of a wholesale market in Minoh. 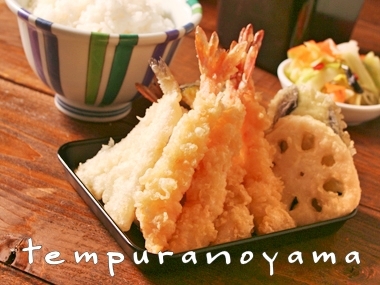 Which is introduced in books and TV as a tempura restaurant of good taste and price. This style which changes the imagine of tempura. As an expensive meal consept is standard in Hakata in Kyushu where is the home of restaurant.